On Sunday, April 28, from 5:00 p.m. to 9:00 p.m., in Plaça de Catalunya, several Empordà wineries will offer us their products. 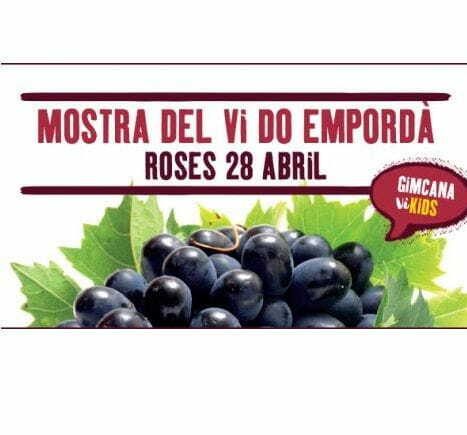 As part of the Vivid Festival, and as a member of the DO Empordà Wine Route, Roses hosts the DO Empordà Wine Show for the sixth time. The Sample allows tasting, in a single space, different oenological products made by renowned wineries in our regions. As the main tourism destination in the Alt Empordà, in Roses we constantly work on the promotion of local products among the local population, visitors and, especially, in the catering establishments that are the main promoters of local products. The Empordà wine sector is generally achieving a widely recognized quality that we want to value. For the third year, during the Wine Show, families can also spend a good time participating in the Vi-Kids Gymkhana. They must pass various skills and artistic tests: balance, aim, games and ... related to the world of wine. Also for the little ones, up to 5 years, we propose a craft workshop in the Vino-Baby area. During the Wine Show, the raffle will take place for a meal for two people among the participants of the Tapas Route who have handed out the ticket to vote for the best Tapa of the 2019 edition. The result of the vote will be made public the same day. The DO Empordà of Roses Wine Festival and the Vivid festival aim to raise awareness of the region's products and contribute to the growing interaction between tourism and winemaking.